Marie always wanted to try Yoga but thought it was a practice for “Hippies.” In 2001, she finally decided to try a yoga class offered at the Air Force base where her family was stationed. Unfortunately, after two injuries, Marie decided to buy yoga videos and practice on her own at home. Over the years, Marie took classes at various military installations and eventually moved here to Texas in 2011. She attended Yoga Fit classes for about five years and was finally convinced by a friend and yoga teacher to take Yoga Teacher Training. Marie completed her 200-hour training at Loka Studios under the Hatha Yoga/Foundations of Yoga Therapy Teacher Training program. 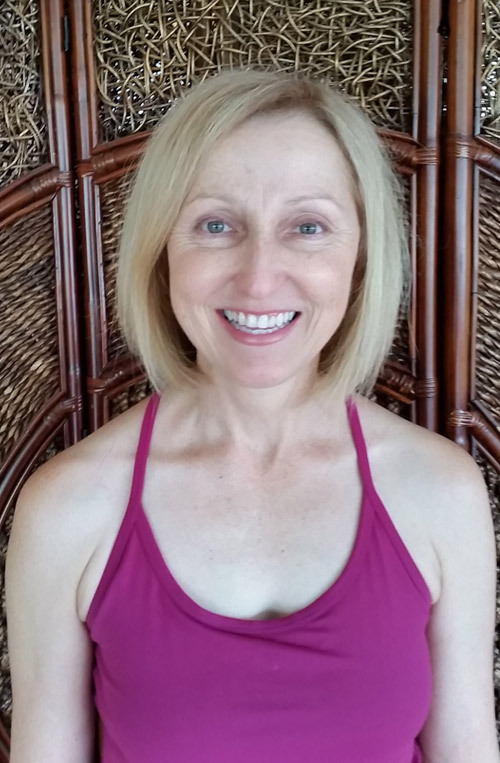 Marie gained a better understanding of herself and yoga being more than just “exercise.” Now she is much more mindful of her practice and lets go of striving to be in a certain yoga pose or shape and focuses on the quality of her breath. Marie hopes to share these teachings with her students so they experience a feeling of peace and calm. Marie is an Air Force spouse (retired) with two grown daughters and two dogs.